Music is a wonderful thing; an inspiring way to escape the day-to-day craziness of life. The story I am about to tell you is a story about music, and about a sweet girl who pursued her love of music despite her disability. 15-year-old Joanna Costa was born with Arthrogryposis Multiplex Congenita (AMC), a disability that consists of joint contractures in both her hands and feet. This means Joanna has limited use of her toes and fingers, and specifically in respect to playing musical instruments she has limited to no use in her fingers. Joanna’s love for music started at a young age. 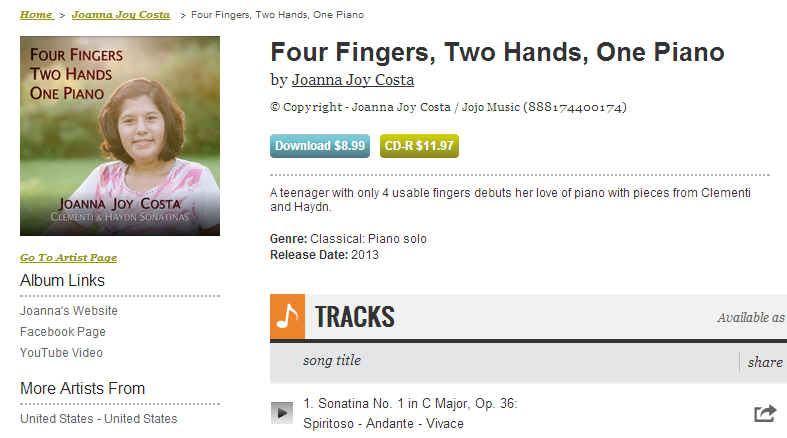 It all began when Joanna asked her mom, who was a piano teacher, if she could give her piano lessons. “She was teaching my older brother Stephen, and whatever he did, I wanted to do too,” Joanna conveyed about her first interest in music. “Also, my dad and mom both play piano, so I wanted to play the piano like they did. My dad would come home from work and play, and I would listen to him and think, ‘I want to do that.’” Joanna’s mom also plays in their church, and all that little five-year-old Joanna wanted to do was to play the piano as well as her parents. Through all of this, Mr. and Mrs. Costa homeschooled Joanna and taught her the importance of music and education. Speaking of her homeschool experience, Joanna explained that “homeschooling has allowed [her] schedule to be flexible enough to allow for the therapy and doctor’s visits necessitated by [her] diagnosis”, as well as for extracurricular activities. 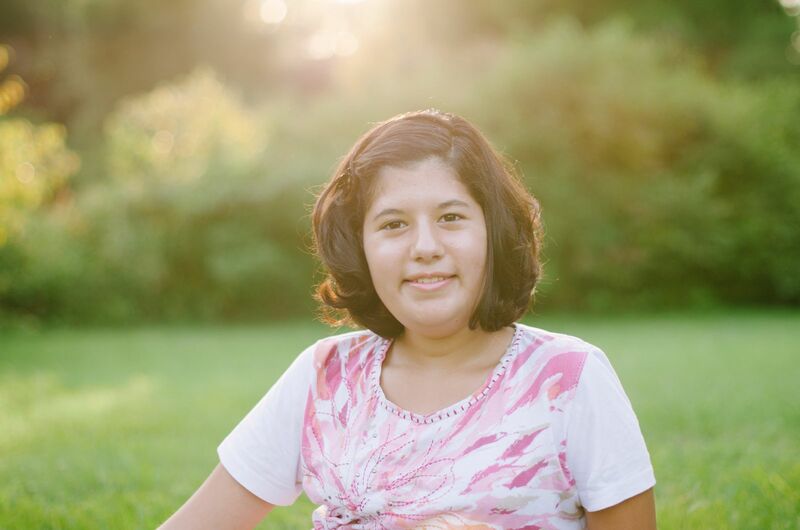 Although Joanna isn’t able to play certain sports such as soccer or softball, homeschooling has afforded her the opportunities to do other extracurricular and physical activities such as sled hockey, horseback riding, participating in the science fair, and the 4-H club. Homeschooling has also allowed her enough flexibility to practice and record music. 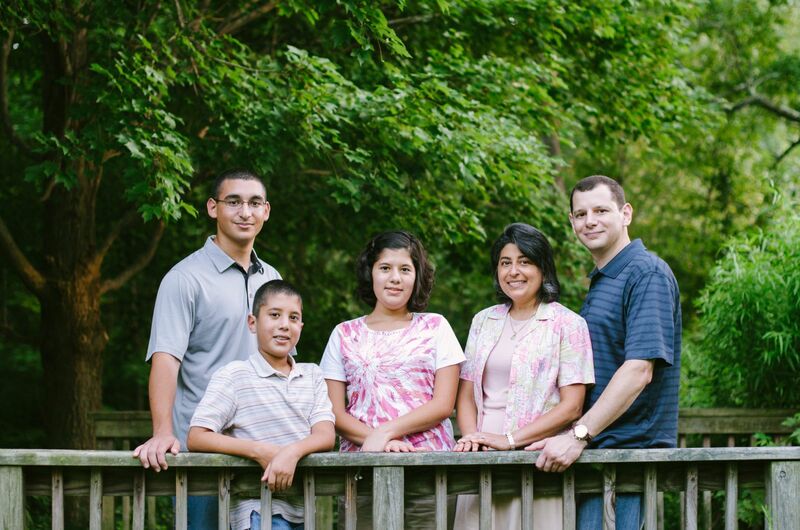 Homeschooling has allowed Joanna the opportunities to pursue her passion for music and her passion for helping people. She loves God and has a heart ready and waiting for Him to use. I look forward to see how God will use Joanna next. ← CLOSED | GIVEAWAY – Welcoming Summer!